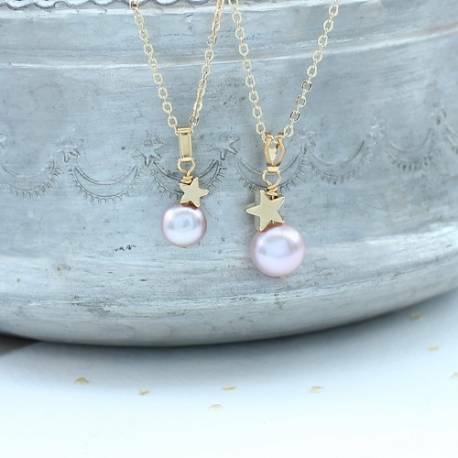 A single pearl pendant with a gold star and matching childs mini version.The perfect pearl jewellery gift set for Mother and child or bridesmaids and flower girls on your wedding day. A stylish modern pearl jewellery set, comprising of a pearl pendant and matching childs mini version. 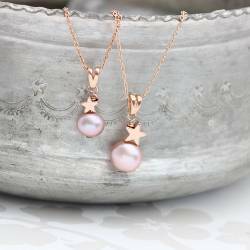 Feminine and romantic, the necklaces feature a solitaire pearl suspended from a gold star. The price is for one adults and one childs necklace. Further necklaces can be purchased though the product pages for the adults or mini pearl pendants. These can be found under the other products you might like tab. Your jewellery set will be beautifully gift wrapped in 2 separate matt boxes, black for the adults and amethyst for the childs, tied with ivory satin ribbon and a gift card enclosed. This standard service is completely free of charge. Gold plated brass and freshwater pearl. 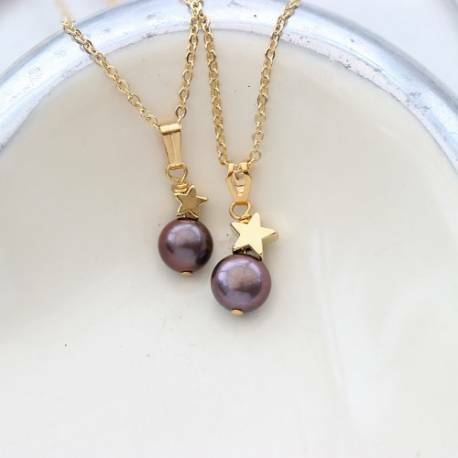 The pearl in the adults pendant is approx 9mm and the star 7mm. 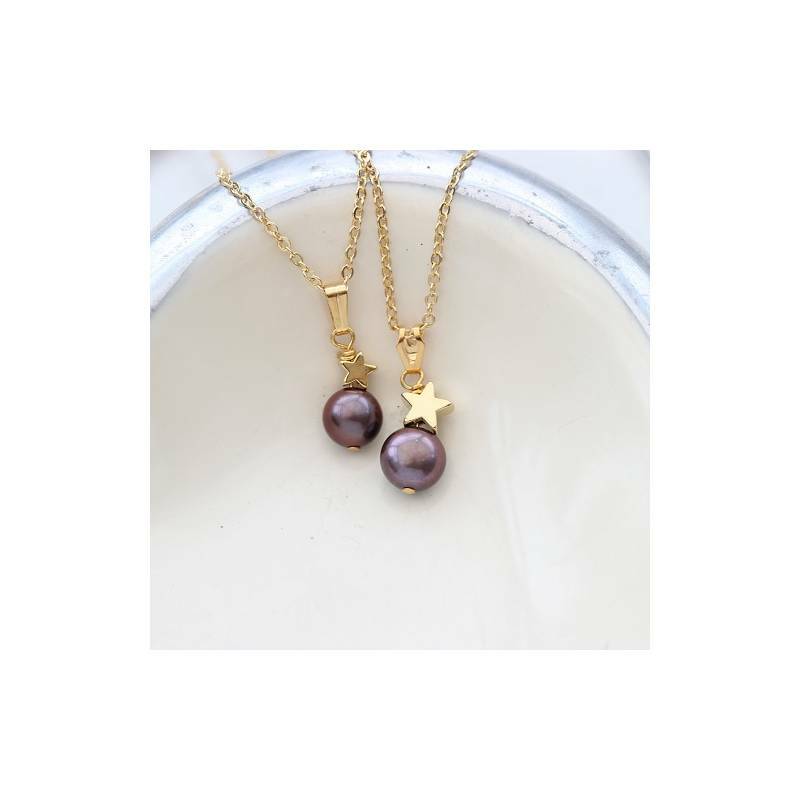 The pearl in the childs approx 7mm and the star 5mm.